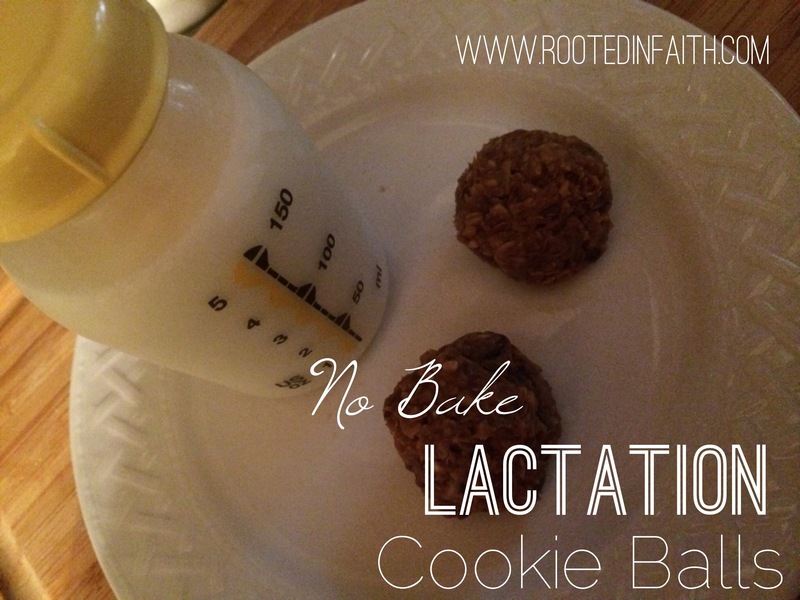 Just like most nursing moms, I am always looking for ways to increase my supply. Since going back to work, I have noticed a slight decline in output when pumping. So, in order to combat this, I decided to try to make some “cookies” that are supposed to help increase your supply. 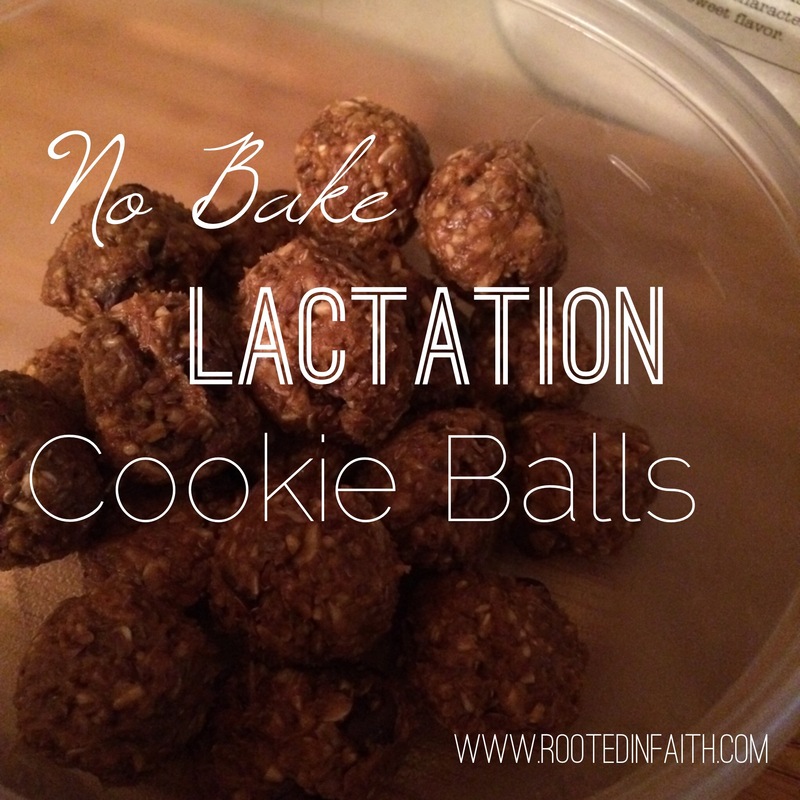 I ate 2 of these cookie balls last night and today I was able to pump twice as much as I normal do. Yea! Since, I’m thinking these actually work, and they have the added benefits of being quick and easy to make and fairly healthy and pretty yummy, I thought I’d share the recipe. I took several different recipes that I found online and sort of came up with these that I think work pretty well. Enjoy! Stir together the almond butter, honey, and vanilla. Add in the dry ingredients. Let chill in the refrigerator for 1 hour. Form into balls. You can flatten them into more of a cookie shape if you would like. Store in the refrigerator or freezer in an air tight container. Basically, these work because oatmeal, flax seed, brewer’s yeast, and almonds are all said to increase your milk production. You can kind of play around with the other ingredients, but as long as you have the basic brewer’s yeast, oatmeal, and flax seed in there you should be good. Other things that you could add that are said to help milk production are: coconut, sunflower seeds, slivered almonds, ginger, dates, dried apricots, molasses, sesame seeds, and pumpkin seeds. Hi dear, my baby is in the nicu, born at 29th week, she is still not trying to breastfeed, presently she is in her 30th week ,but still in nicu -1 n half month passed, n my milk supply has considerably dicreased ,may be due to my less no of pumping sessions,I m very worried, n trying all means to In crease d supply…fenugreek seeds…..but it’s not helping me……..does this cookies really help to increase d flow? They helped me. I had really low output when pumping, but these nearly doubled what I was getting. Hi Victoria, I had just stumble on the lactation cookie on pinterest, after going thru your blog I realized that u had pre eclamsia during your pregnancy( sorry to know about your son), even I was diagnosed with premium eclamsia on my first visit with the doctor ( as I had changed my doctor) at my 29th week , n on the same day of visit I was rushed to the emergency high risk and got my baby at the 29th week on 3rd June 2015 by c section, by the grace of God n prayers from all dear one, she is doing better but still struggling n is in the nice presently…..hoping to get her home soon, this is our first child after 9 years of our marriage at age 38, n we still plan to have one more…..but scared…….did you also had previously eclamsia during your second pregnancy, would like to talk to you. I’m on my phone at the moment, so I can’t link to other blogs, I’ll try and remember to do that in the morning, but it is totally possible to have a pre-eclampsia free second pregnancy. I did not have it at all with my second. There are a lot of things that can be underlying causes. I had a ton of blood work done before we conceived again and I took some extra vitamins and a low dose aspirin at the recommendation of my doctor everyday. I was very closely monitored and I tried to eat more protein and follow a certain diet that some have said can help prevent pre-e. Between that and a lot of prayer, something worked. I pray your little one is doing well and growing stronger everyday. could i do coconut oil instead of the honey? have you tried this? (or does the honey hold them together?) also, where do you buy brewer’s yeast? I never tried coconut oil instead of honey, but you could try it. The honey added sweetness which helped offset the tang of the brewer’s yeast. I bought a huge jar of brewer’s yeast off of Amazon, but you can also find it at Whole Foods and most natural grocery stores/health food stores. silly question but is this cooked oatmeal in your recipe? These are great! How many does this recipe make? I think I made mine too big because it only made 8. Thanks for sharing!